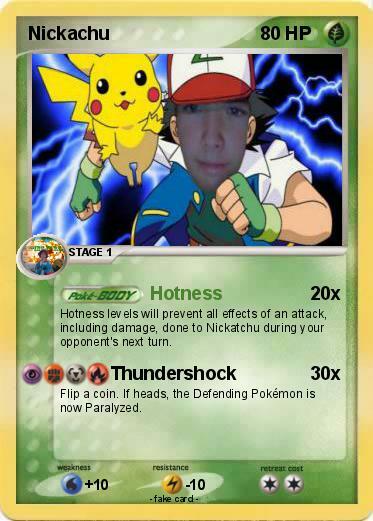 Hotness levels will prevent all effects of an attack, including damage, done to Nickatchu during your opponent's next turn. Nickachu | Nickachu | Nickachu | Nickachu | Nickachu | nickachu | Nickachu | nickachu | Nickachu!!! | Nickachu!! !